Spainbox pricing is purposely aligned with the needs of the fastgrowing business. While most outsourced order fulfillment providers require that you sign long-term contracts and agree to minimum fees in order to get competitive pricing, Spainbox offers on demand, clear pricing that scales with you as your business grows. It is designed to be simple, transparent, and to require minimal oversight or management on your part. 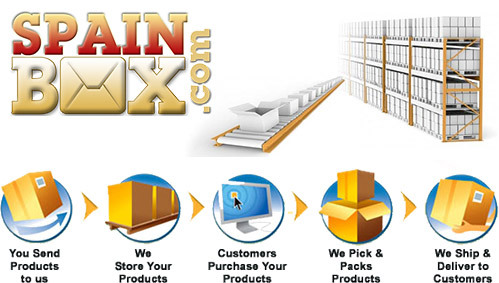 Shipping – Price of shipping to Spain your products to customers, distributors, or suppliers. Price associated with how much space is used in warehouses and unique products stored. We will process your order as soon as you register and you will receive an spanish street address inmediately. Scan it and receive by email. We weight and record the sender then email you what arrived. Consolidate with other shipments, We offer Postal consolidation to save shipping costs. We process all mail daily every business day from monday to friday. To process your post to forward or scan it to be send to you, you will need to get credit to pay processing post fees.